Michael stops to see Nelle at work. He thanks her for taking care of Avery and checking in on Sonny. He also thanks her for helping him see what Sonny is going through even though he still believes that Morgan would be alive if Sonny had made different choices. Nelle says she feels bad for Sonny and promises to keep an eye on him for Michael. Robin and Anna are hanging out and eating Emma&apos;s Halloween candy when Griffin shows up with Charlotte. He asks for Anna&apos;s help. He tells her that Valentin is back in town. Anna checks in with Dante for an update. Griffin&apos;s worried that Valentin grabbed Claudette and is coming after Charlotte. Anna calls Robert to say she wants to deal with Valentin. Griffin says a prayer over Charlotte while she&apos;s sleeping. Ava tells Julian that she&apos;s worried now that Valentin is back in town. She thinks he&apos;ll kill her because she was a witness to him killing Nikolas. Julian is certain Ava would have already been taken out if she was a problem and promises to protect her. 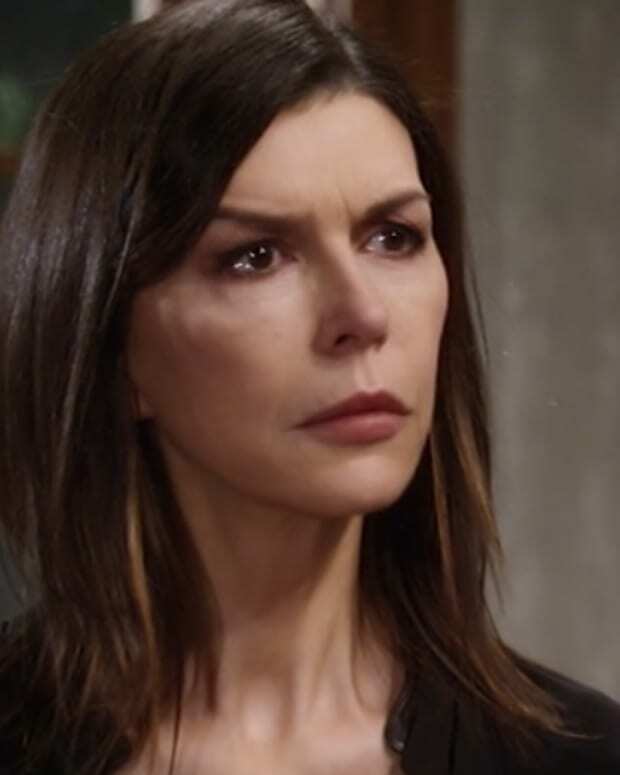 Ava mentions that Alexis was there as well, which causes concern for Julian. Sam and Alexis update Jason about the latest on Valentin. Jason&apos;s first reaction is that he&apos;ll deal with Valentin. This upsets Sam, who experiences baby pain. Sam ends up at Mercy where the doctor says it&apos;s stress-related. He opts to keep her overnight for observation. Nina is shocked to see Valentin at her door. He says he was exonerated and was legitimately released. Nina wonders what he wants with her. Valentin says he wants to get to know her better because the night they spent together was special. Nina points out that he&apos;s a lying liar who&apos;s pants are on fire and is not interested in him. Valentin doesn&apos;t believe her, but Nina says their night together was just a random hook-up. Alexis waits for word from Jason at the hospital. The box of wine calls to her and she eventually opens it and drinks herself into stupidity. When Michael leaves, Nelle opens a letter from her father. It says that says she owes him.